Join us for our 63rd Annual Meeting! The program will be packed with information and entertainment as we review the accomplishments of 2018 and look ahead to an exciting 2019. We’ll provide important statistics for downtown — such as the current resident count and the list of downtown’s top 15 employers — and discuss growth and opportunities in development, transit, safety, greening, activation and events, and more. 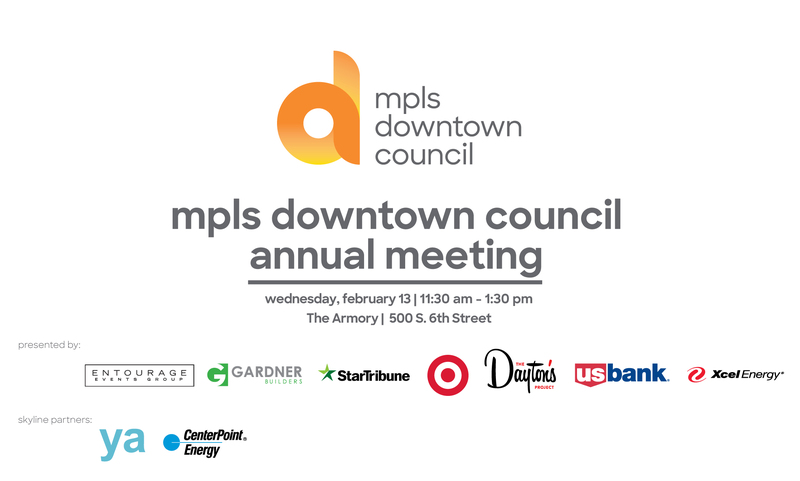 ** If you would like information about sponsorship please contact Marybeth Weisberg: mweisberg@mplsdowntown.com / 612-656-3842.